As they organize to defend their land and Palestinian farming against the onslaught of settlements and siege, Palestinian agricultural workers and organizers have been subject to an intensified arrest campaign in the occupied West Bank of Palestine. See below for text of the Samidoun petition to demand an immediate end to the targeting of the Union of Agricultural Work Committees and all Palestinian farmers and agricultural workers, and the freedom of the Palestinian organizers imprisoned for defending their rights. This petition was faxed and delivered to Israeli embassies internationally. A number of staff of the Union of Agricultural Work Committees (Facebook), a Palestinian grassroots organization that organizes Palestinian farmers to defend their land and develop their products, have been targeted in recent days for arrest by Israeli occupation forces. 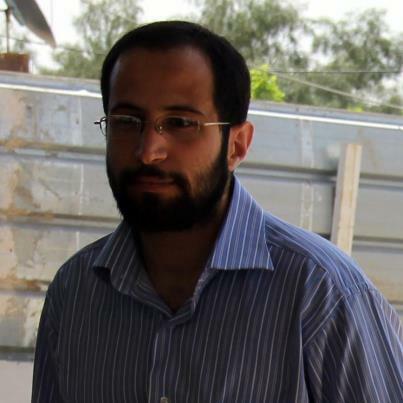 On July 31, Dr. Moayad Ahmad Bisharat, the coordinator of UAWC’s Jericho office was abducted at dawn from his home. 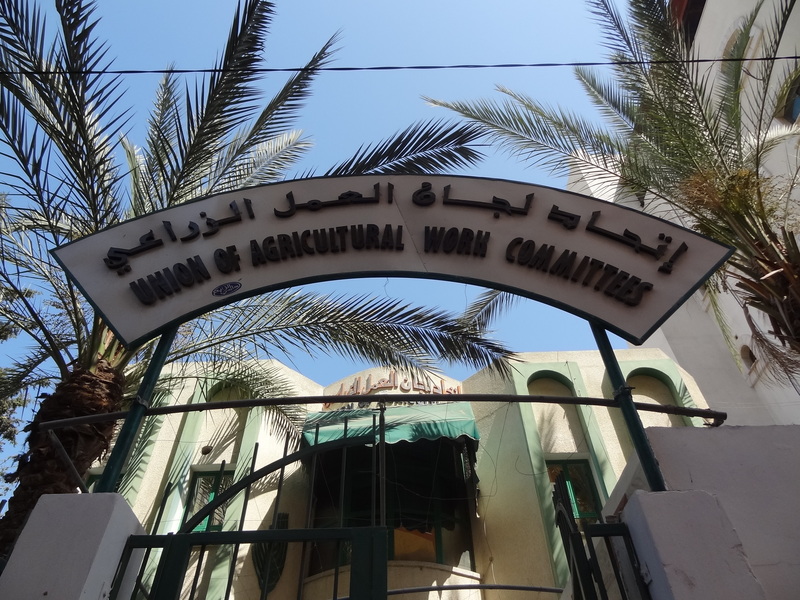 The UAWC office in Jericho was then ransacked by Israeli forces, who confiscated the computers, laptops, and files of the organization. This is the most recent in a series of arrests of UAWC activists in recent weeks, including the Director of Development and Operations, the engineer Fuad Abu Saif on July 26 in an early morning raid on his home in Hebron, in which his computer, mobile phone and other communication devices were seized. The director of the UAWC Jericho office, Mohammad Nujoom was abducted on July 16 as he re-entered Palestine from abroad. Both were taken to the Moskobiya compound for interrogation. In addition, UAWC Board Member Ahmad Soufan, held in administrative detention for one year, was recently ordered into a third term of six months in arbitrary administrative detention without charge or trial. Two other UAWC leaders, Abdel Razzak Farraj, administrative and financial director, and Board member Dr. Yousef Abdul Haq, were both finally released from administrative detention after multiple renewals of their imprisonment. As the UAWC noted in its statement on the arrests, these arrests are part and parcel of the ongoing attacks on Palestinians’ right to the land, including massive settlement building, land confiscation, home demolitions, and the construction of the apartheid wall, as well as the siege and firing on farmers and agricultural workers in Gaza. The UAWC called on international organizers to defend Palestinian national rights and demand the freedom of the UAWC detainees and all Palestinian prisoners. UAWC, which recently marked its 25th anniversity, has been struggling with Palestinian farmers and agricultural workers to defend and develop their land, support Palestinian agricultural projects, and support farmers’ steadfastness on the land in the face of Israeli occupation and aggression. The attack on the UAWC is part of the overall attack on Palestinian farmers and agricultural workers, from olive farmers whose trees are set ablaze by settlers, tthose whose land was stolen for settlements, “military use,” or “buffer zones”, to the fishers of Gaza, who daily brave military attack for seeking to fish in their sea. It reflects the over 64 years of occupation, land theft, displacement and dispossession of the occupation of Palestine. Farmers and agricultural workers are on the front lines of resistance as they struggle to remain on their land – and are thus being targeted for arrest and imprisonment in an attempt to undermine the steadfastness of the farmers. Western governments, including those of the United States and Canada, are not only silent in the face of these attacks, they are directly complicit, as they pledge expanded military support and allegiance to Israel as its occupation, apartheid and human rights violations continue and escalate. It is urgent that people make their own voices heard to challenge and break this complicity. 1. Click here to sign our petition at change.org, or sign on below! This petition will be presented to Israeli embassies in the US, Canada and other countries on Wednesday, August 15, demanding the release of these prisoners, justice for all prisoners, and an end to the attack on Palestinian farmers and agricultural workers. Individual and organizational signatories are welcome – we particularly urge groups and organizations to sign on to and distribute the petition. If you experience any difficulty signing on, please send your endorsement to samidoun@samidoun.ca. 2. Boycott Israeli goods and agricultural products! The Palestinian movement has called for boycott, divestment and sanctions targeting Israeli goods and institutions until it ends its violations of Palestinian rights. Israeli oranges, organic peppers, dates, and other agricultural products are the fruits of stolen land. Boycott those products and help to raise awareness in your community! 3. Support Palestinian agricultural products, including olive oil, spices, and maftoul, farmed by Palestinian farmers and not occupation settlements. 4. Join a protest or demonstration outside an Israeli consulate for Palestinian prisoners. Many groups and organizations are holding events – join one or announce your own. Organizing an event, action or forum on Palestinian prisoners on your city or campus? Use this form to contact us and we will post the event widely. If you need suggestions, materials or speakers for your event, please contact us at samidoun@samidoun.ca. 5. Help to support UAWC – here is information on how you can donate to support UAWC’s much needed work among Palestinian farmers and fishers. As they organize to defend their land and Palestinian farming against the onslaught of settlements and siege, Palestinian agricultural workers and organizers have been subject to an intensified arrest campaign in the occupied West Bank of Palestine. We write to demand an immediate end to the targeting of the Union of Agricultural Work Committees and all Palestinian farmers and agricultural workers, and the freedom of the Palestinian organizers imprisoned for defending their rights. A number of staff of the Union of Agricultural Work Committees, a Palestinian grassroots organization that organizes Palestinian farmers to defend their land and develop their products, have been targeted in recent days for arrest by Israeli occupation forces. On July 31, Dr. Moayad Ahmad Bisharat, the coordinator of UAWC’s Jericho office was abducted at dawn from his home. The UAWC office in Jericho was then ransacked by Israeli forces, who confiscated the computers, laptops, and files of the organization. This is the most recent in a series of arrests of UAWC activists in recent weeks, including the Director of Development and Operations, the engineer Fouad Abu Saif on July 26 in an early morning raid on his home in Hebron, in which his computer, mobile phone and other communication devices were seized. The director of the UAWC Jericho office, Mohammad Nujoom was abducted on July 16 as he re-entered Palestine from abroad. Both were taken to the Moskobiya compound for interrogation. The attack on the UAWC is part of the overall attack on Palestinian farmers and agricultural workers, from olive farmers whose trees are set ablaze by settlers, tthose whose land was stolen for settlements, “military use,” or “buffer zones”, to the fishers of Gaza, who daily brave military attack for seeking to fish in their sea. It reflects the over 64 years of occupation, land theft, displacement and dispossession of the occupation of Palestine. Farmers and agricultural workers are on the front lines of resistance as they struggle to remain on their land – and are thes being targeted for arrest and imprisonment in an attempt to undermine the steadfastness of the farmers. We demand that the Israeli government immediately free Bisharat, Abu Seif, Nujoom and Seifan and end this targeted attack on Palestinian agricultural workers. Furthermore, we demand an end to the policy of settlement construction, land confiscation and home demolitions targeting Palestinian farmers and villages in the West Bank, and an end to the targeting of Palestinian farmers in Gaza in the “buffer zones” and fishers at sea. Finally, we demand an end to the mass imprisonment of Palestinians and freedom for all Palestinian political prisoners.